Martha “Billie” Ann Mincey, 85, died peacefully in her home on Sunday, March 31, 2019. She was predeceased by her parents, Wilbur and Daisy Slate, her beloved husband Leslie Mincey, and her daughter Cheryl Ann Wilson. 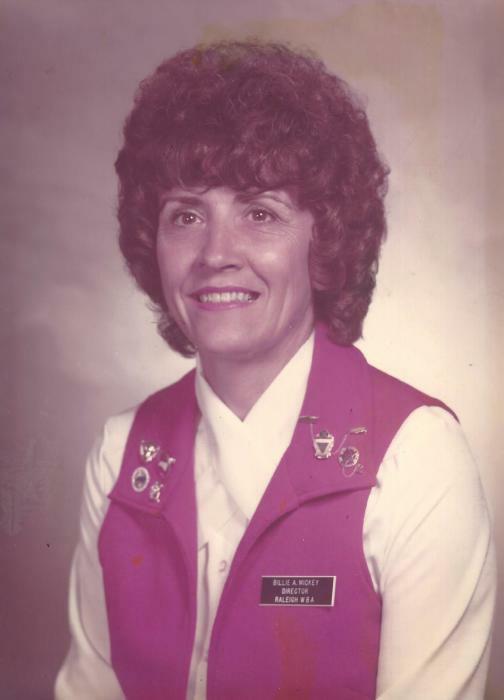 While living in Wilmington, North Carolina in the early 1960’s, Billie was instrumental in organizing the Wilmington Women’s Bowling Association. During that time, she also played a major role in the creation of the Carolina All Star Bowling Association (CASBA), the first women’s scratch tournament organization in North Carolina. Billie moved to Raleigh from Wilmington in 1966. During her years in the Raleigh area, she was instrumental in developing the Raleigh Junior Bowling Association (RJBA). She was active in all areas of the sport she loved. She is survived by her daughters Donna Leigh Smith, husband Terry, and Sherry Mincey Poole, 6 loving grandchildren: Trey Wilson, Brook Godwin (Andrew), David Preddy (Katie), Steven Preddy, Tara Roebuck, Leslie Poole Boller (Ethan) and 4 great-grandchildren: Addison Godwin, Dean Preddy, Micah Roebuck, and Aric Roebuck. Billie was the heart of her family. She was a devoted mother, grandmother, great-grandmother and friend who loved her family and friends unconditionally. She always made sure to express her love and extreme pride in their accomplishments, great and small. She leaves behind countless friends and loved ones who will miss her loving and patient aura. A celebration of Billie’s life will be on Saturday, April 6, 2019, 4-6pm, at Bright Funeral Home, 405 S. Main Street, Wake Forest, North Carolina 27587.